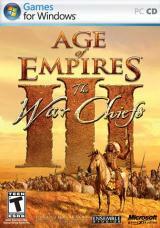 Age of Empires 2: The Conquerors Expansion is the official add-on to the award-winning, best-selling real-time strategy game Age of EmpiresÂ® II: The Age of KingsÂ®. Focusing on legendary leaders, The Conquerors will challenge veterans and novices to wage war on an epic scale with all-new civilizations, unique units and technologies, and campaigns based on infamous conquerors such as Attila the Hun, El Cid and Montezuma. 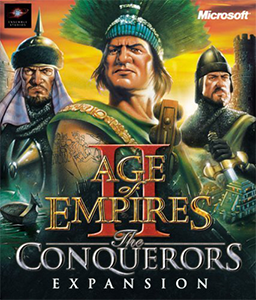 In addition to the 13 civilizations available in Age of Empires II, The Conquerors adds five additional civilizations to choose and command, including the Hun, Aztec, Mayan, Korean and Spanish. Each civilization has unique attributes, buildings and technologies, as well as a unique combat unit based on its historical counterpart. The four new campaigns focus on historical figures such as Attila the Hun, El Cid and Montezuma, allowing players to ride alongside the Hun invasion of Europe, battle the Moors in Spain, preside over the siege of Tenochtitlan, or relive eight other battles that became turning points in history, such as Agincourt, Manzikert and Hastings, with such conquerors as Henry V, Yi Sun-shin and Erik the Red. Internet play for up to eight players via Zone.com, over a LAN or modem to modem. MicrosoftÂ® WindowsÂ® 95, Windows 98, Windows ME, Windows NTÂ® worstation version 4.0 with Service Pack 5, or Windows 2000 Professional operating systems. Super VGA monitor supporting 800×600 resolution. Local bus video card that supports 800×600, 256 color resolution and 2 MB of VRAM. Audio board with speakers or headphones or headphones recommended.